The decision of the Supreme Court in UNISON, R (on the application of) v Lord Chancellor  UKSC 51 may have wide ramifications. Certainly its impact will go well beyond employment law. The Supreme Court set out, in clear and absolute terms, the importance of access to justice and the courts. Here I do no more than set out the passages of general relevance, not only to litigators but society as a whole. The trade union Unison brought an action claiming that the introduction of fees for Employment Tribunal cases was invalid. Unison was successful. 20. Many claims which can be brought in ETs are for modest financial amounts. The fee structure is however very different from that applied to small claims in the County Court. ET fees for single claimants are set at one of two fixed rates: £390 for type A claims, and £1,200 for type B claims. The difference reflects the tribunal time which the claims are expected to require, and therefore has the effect of penalising claimants according to the complexity of their claims. Although most claims of a kind attracting low monetary awards tend to be classified as type A, the fees prescribed by the Fees Order bear no direct relation to the amount sought, and can therefore be expected to act as a deterrent to claims for small amounts and non-monetary claims. In the County Court, on the other hand, fees for small claims are graduated according to the value of the claim. For claims issued online, they begin at £50 for claims up to £300, and rise in stages to £745 for claims between £5,000 and £10,000. The fee structure has thus been designed in a way which is likely to have a less deterrent effect on the bringing of small claims. There is also no penalty for bringing a complex claim rather than a simple one. It is only once a claim exceeds £3,000 that the fees payable in the County Court exceed the ET fees for a type A claim. Even the highest fees in the County Court for small claims are well below the ET fees for type B claims. 57. A secondary objective of the introduction of fees was to deter the bringing of unmeritorious claims. The Review Report analysed the outcomes of single claims which had been presented after fees were introduced, and compared them with the outcome of cases during the three quarters preceding the introduction of fees. The results show that the proportion of successful claims has been consistently lower since fees were introduced, while the proportion of unsuccessful claims has been consistently higher. The tribunal statistics, which record the figures for all claims, show the same trend. The Lord Chancellor accepts that there is no basis for concluding that only stronger cases are being litigated. The constitutional right of access to the courts is inherent in the rule of law. The importance of the rule of law is not always understood. Indications of a lack of understanding include the assumption that the administration of justice is merely a public service like any other, that courts and tribunals are providers of services to the “users” who appear before them, and that the provision of those services is of value only to the users themselves and to those who are remunerated for their participation in the proceedings. The extent to which that viewpoint has gained currency in recent times is apparent from the consultation papers and reports discussed earlier. It is epitomised in the assumption that the consumption of ET and EAT services without full cost recovery results in a loss to society, since “ET and EAT use does not lead to gains to society that exceed the sum of the gains to consumers and producers of these services”. Most of the cases so far mentioned were concerned with barriers to the bringing of proceedings. But impediments to the right of access to the courts can constitute a serious hindrance even if they do not make access completely impossible. More recent authorities make it clear that any hindrance or impediment by the executive requires clear authorisation by Parliament. Examples include Raymond v Honey  1 AC 1, where prison rules requiring a prison governor to delay forwarding a prisoner’s application to the courts, until the matter complained of had been the subject of an internal investigation, were held to be ultra vires; and R v Secretary of State for the Home Department, Ex p Anderson  QB 778, where rules which prevented a prisoner from obtaining legal advice in connection with proceedings that he wished to undertake, until he had raised his complaint internally, were also held to be ultra vires. The court’s approach in these cases was to ask itself whether the impediment or hindrance in question had been clearly authorised by primary legislation. In Raymond v Honey, for example, Lord Wilberforce stated at p 13 that the statutory power relied on (a power to make rules for the management of prisons) was “quite insufficient to authorise hindrance or interference with so basic a right” as the right to have unimpeded access to a court. Lord Bridge of Harwich added at p 14 that “a citizen’s right to unimpeded access to the courts can only be taken away by express enactment”. The decision in Leech was endorsed and approved by the House of Lords in R v Secretary of State for the Home Department, Ex p Simms  2 AC 115, which arose from a prohibition on visits to serving prisoners by journalists seeking to investigate whether the prisoners had, as they claimed, been wrongly convicted, except on terms which precluded the journalists from making professional use of the material obtained during such visits. The House considered whether the Home Secretary’s evidence showed a pressing need for a measure which restricted prisoners’ attempts to gain access to justice, and found none. After an examination of the evidence, Lord Bingham concluded that “the policy provides for a degree of intrusion into the privileged legal correspondence of prisoners which is greater than is justified by the objectives the policy is intended to serve, and so violates the common law rights of prisoners” (para 21). Since that degree of intrusion was not expressly authorised by the relevant statutory provision, it followed that the Secretary of State had no power to lay down the policy. Finally, in this overview of the common law authorities, it is necessary to note two cases concerned with court fees. First, the case of R v Lord Chancellor, Ex p Witham  QB 575 concerned court fees prescribed by the Lord Chancellor under a statutory power. The order in question repealed a power to reduce or remit the fees on grounds of undue financial hardship in exceptional circumstances. The order had been made with the concurrence of all four Heads of Division, as well as the Treasury. It had also been laid before Parliament. The applicant was in receipt of income support of £58 per week, and wished to bring proceedings. The prescribed fee was either £120 or £500, depending on the amount claimed. The applicant said that he could not afford to pay a fee of either amount. There was also evidence that a person on income support could not afford the £10 fee to set aside a default judgment in debt proceedings, and that another person on income support who was facing eviction could not afford the £20 fee to be joined in possession proceedings. Laws J, with whom Rose LJ agreed, said that he saw no reason not to accept what was said, and concluded that there was a variety of situations in which persons on very low incomes were in practice denied access to the courts. Laws J accepted that, notwithstanding the wide discretion seemingly conferred on the Lord Chancellor by the relevant statutory provision, there were implied limitations upon his powers: the relevant provision did not “permit him to exercise the power in such a way as to deprive the citizen of what has been called his constitutional right of access to the courts” (p 580). The rule-making power in the primary legislation contained “nothing to alert the reader to any possibility that fees might be imposed in circumstances such as to deny absolutely the citizen’s right of access to the Queen’s courts” (p 586). Since that was the practical effect of the fees, the order was declared unlawful. The second case is the decision of the Divisional Court in R (Hillingdon London Borough Council) v Lord Chancellor (Law Society intervening)  EWHC 2683 (Admin);  1 FLR 39. The case concerned fees payable by local authorities in connection with applications made in public law family cases. The court rejected the Government’s argument that the lawfulness of the fees orders depended on whether local authorities would (or there was a real risk that they would) be required to act inappropriately by failing to make applications which objectively should be made. Dyson LJ stated that the impact of the fees orders “must be considered in the real world” (para 61). The relevant question was therefore “whether there was a real risk that the increase in fees will cause local authorities not to make applications which objectively should be made” (ibid). The 2007 Act does not state the purposes for which the power conferred by section 42(1) to prescribe fees may be exercised. There is however no dispute that the purposes which underlay the making of the Fees Order are legitimate. Fees paid by litigants can, in principle, reasonably be considered to be a justifiable way of making resources available for the justice system and so securing access to justice. Measures that deter the bringing of frivolous and vexatious cases can also increase the efficiency of the justice system and overall access to justice. The Lord Chancellor cannot, however, lawfully impose whatever fees he chooses in order to achieve those purposes. It follows from the authorities cited that the Fees Order will be ultra vires if there is a real risk that persons will effectively be prevented from having access to justice. That will be so because section 42 of the 2007 Act contains no words authorising the prevention of access to the relevant tribunals. That is indeed accepted by the Lord Chancellor. But a situation in which some persons are effectively prevented from having access to justice is not the only situation in which the Fees Order might be regarded as ultra vires. As appears from such cases as Leech and Daly, even where primary legislation authorises the imposition of an intrusion on the right of access to justice, it is presumed to be subject to an implied limitation. As it was put by Lord Bingham in Daly, the degree of intrusion must not be greater than is justified by the objectives which the measure is intended to serve. 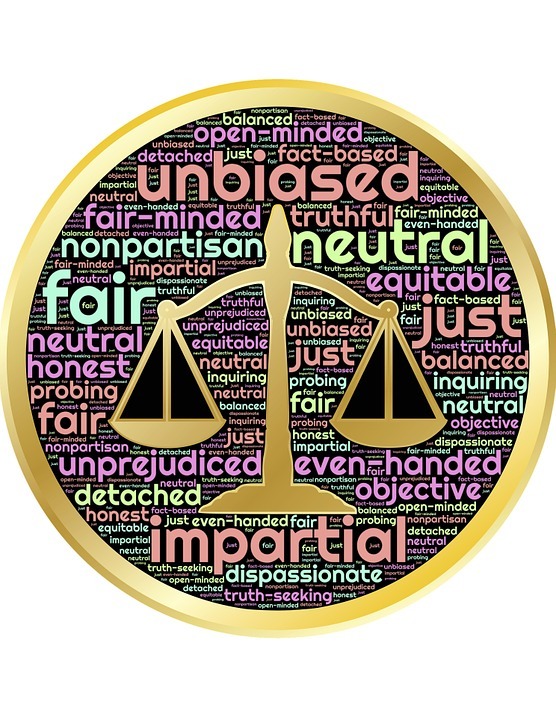 There is an analogy between the latter principle and the principle of proportionality, as developed in the case law of the European Court of Human Rights. These proceedings are not based on the Human Rights Act 1998, since the appellant is not a “victim” within the meaning of section 7(1) of that Act. Nevertheless, the case law of the Strasbourg court concerning the right of access to justice is relevant to the development of the common law. It will be considered in the context of the case based on EU law, on which it also has a bearing. To anticipate that discussion, however, it is clear that the ability of litigants to pay a fee is not determinative of its proportionality under the Convention. That conclusion supports the view, already arrived at by the common law, that even an interference with access to the courts which is not insurmountable will be unlawful unless it can be justified as reasonably necessary to meet a legitimate objective. Does the Fees Order effectively prevent access to justice? It is therefore necessary to consider, first, whether the Fees Order effectively prevents some persons from having access to justice. It is argued on behalf of the Lord Chancellor that the fees cannot be unlawful unless it is proved that they have prevented access to justice in specific cases. No-one, however, has given evidence in these proceedings that they were unable to bring a claim because they could not afford the fees. Further, it is argued, the poorest people qualify for full remission. Those who do not so qualify have some income over and above the minimum necessary to meet the essentials of life, and can therefore save the amount needed to pay the fees if they choose to do so. In exceptional cases, the Lord Chancellor can exercise his discretionary power to remit the fees. Access to justice is not prevented where the decision on whether to make a claim is the result of making a choice between paying the fee and spending one’s income in some other way. In order for the fees to be lawful, they have to be set at a level that everyone can afford, taking into account the availability of full or partial remission. The evidence now before the court, considered realistically and as a whole, leads to the conclusion that that requirement is not met. In the first place, as the Review Report concludes, “it is clear that there has been a sharp, substantial and sustained fall in the volume of case receipts as a result of the introduction of fees”. While the Review Report fairly states that there is no conclusive evidence that the fees have prevented people from bringing claims, the court does not require conclusive evidence: as the Hillingdon case indicates, it is sufficient in this context if a real risk is demonstrated. The fall in the number of claims has in any event been so sharp, so substantial, and so sustained as to warrant the conclusion that a significant number of people who would otherwise have brought claims have found the fees to be unaffordable. In that regard, it is necessary to bear in mind that the use which people make of ETs is governed more by circumstances than by choice. Every individual who is in employment may require to have resort to an ET, usually unexpectedly: for example, if they find themselves unfairly dismissed or the victim of discrimination. Persons whose employment rights have been breached, or who believe them to have been breached, are often under a practical compulsion to apply to an ET for redress. Conciliation can be a valuable alternative in some circumstances, but as explained earlier the ability to obtain a fair settlement is itself dependent on the possibility that, in the absence of such a settlement, a claim will be presented to the ET. It is the practical compulsion which many potential claimants are under, which makes the fall in the number of claims indicative of something more than a change in consumer behaviour. Secondly, as explained earlier, the Review Report itself estimated that around 10% of the claimants, whose claims were notified to Acas but did not result either in a settlement or in a claim before an ET, said that they did not bring proceedings because they could not afford the fees. The Review Report suggests that they may merely have meant that affording the fees meant reducing “other” areas of non-essential spending in order to save the money. It is not obvious why the explanation given by the claimants should not be accepted. But even if the suggestion in the Review Report is correct, it is not a complete answer. The question whether fees effectively prevent access to justice must be decided according to the likely impact of the fees on behaviour in the real world. Fees must therefore be affordable not in a theoretical sense, but in the sense that they can reasonably be afforded. Where households on low to middle incomes can only afford fees by sacrificing the ordinary and reasonable expenditure required to maintain what would generally be regarded as an acceptable standard of living, the fees cannot be regarded as affordable. Thirdly, that conclusion is strengthened by consideration of the hypothetical examples, which provide some indication of the impact of the fees on claimants in low to middle income households. It is common ground that payment of the fees would result in the hypothetical households having less income than is estimated by the Joseph Rowntree Foundation as being necessary to meet acceptable living standards. The Lord Chancellor argues that, if the households sacrifice all spending on clothing, personal goods and services, social and cultural participation, and alcohol, the necessary savings can be made to enable the fees to be paid. As was explained earlier, the time required to make the necessary savings varies, in the examples, between about one month and three and a half months. Leaving aside the other difficulties with the Lord Chancellor’s argument discussed earlier, the fundamental problem is the assumption that the right of access to courts and tribunals can lawfully be made subject to impositions which low to middle income households can only meet by sacrificing ordinary and reasonable expenditure for substantial periods of time. The court cannot be deflected from that conclusion by the existence of the Lord Chancellor’s discretionary power of remission. The statutory scheme of remission is of very restricted scope, as explained earlier. The effects of the Fees Order have occurred notwithstanding the existence of that scheme. The discretionary power of remission may be capable of greater use than has been the case in the past, but it can only be exercised “where the Lord Chancellor is satisfied that there are exceptional circumstances which justify doing so.” The problems which have been identified in these proceedings are not confined to exceptional circumstances: they are systemic. Furthermore, it is not only where fees are unaffordable that they can prevent access to justice. They can equally have that effect if they render it futile or irrational to bring a claim. As explained earlier, many claims which can be brought in ETs do not seek any financial award: for example, claims to enforce the right to regular work breaks or to written particulars of employment. Many claims which do seek a financial award are for modest amounts, as explained earlier. If, for example, fees of £390 have to be paid in order to pursue a claim worth £500 (such as the median award in claims for unlawful deductions from wages), no sensible person will pursue the claim unless he can be virtually certain that he will succeed in his claim, that the award will include the reimbursement of the fees, and that the award will be satisfied in full. If those conditions are not met, the fee will in reality prevent the claim from being pursued, whether or not it can be afforded. In practice, however, success can rarely be guaranteed. In addition, on the evidence before the court, only half of the claimants who succeed in obtaining an award receive payment in full, and around a third of them receive nothing at all. As explained earlier, the statistical evidence relating to the impact of the Fees Order on the value of awards, the evidence of the Council of Employment Judges and the Presidents of the ETs, the evidence collected by the Department of Business, Innovation and Skills, and the survey evidence collected by Acas, establishes that in practice the Fees Order has had a particularly deterrent effect on the bringing of claims of low monetary value. That is as one would expect, given the futility of bringing many such claims, in view of the level of the fees and the prospects of recovering them. For all these reasons, the Fees Order effectively prevents access to justice, and is therefore unlawful. Given that conclusion, the other issues arising in the appeal can be dealt with very briefly. Can the Fees Order be justified as a necessary intrusion on the right of access to justice? The primary aim of the Fees Order was to transfer some of the cost burden of the ET and EAT system from general taxpayers to users of the system. That objective has been achieved to some extent, but it does not follow that fees which intruded to a lesser extent upon the right of access to justice would have been any less effective. In that regard, it is necessary to point out an error in the Review Report, repeated in the Lord Chancellor’s submissions. The Review Report states that the Ministry of Justice have considered whether it would be more proportionate to charge lower fees, but that “the result of reducing fees would reduce the income generated by fees, and thereby reduce the proportion of cost transferred to users from the taxpayer” (para 307). That statement is unsupported by any evidence, and appears to be regarded as axiomatic. Similarly, in his written case, the Lord Chancellor states that, in pursuing the aim of transferring the costs of the tribunals from taxpayers to users, “the higher the fees are, patently the more effective they are in doing so”. This idea is repeated: in recovering the cost from users, it is said, “the higher the fee, the more effective it is”. However, it is elementary economics, and plain common sense, that the revenue derived from the supply of services is not maximised by maximising the price. In order to obtain the maximum revenue, it is necessary to identify the optimal price, which depends on the price elasticity of demand. In the present case, it is clear that the fees were not set at the optimal price: the price elasticity of demand was greatly underestimated. It has not been shown that less onerous fees, or a more generous system of remission, would have been any less effective in meeting the objective of transferring the cost burden to users. Nor, on the evidence before the court, have fees at the level set in the Fees Order been shown to be necessary in order to achieve its secondary aims: namely, to incentivise earlier settlements and to disincentivise the pursuit of weak or vexatious claims. These issues were discussed at paras 57-59 above. There is a further matter, which was not relied on as a separate ground of challenge, but should not be overlooked. That is the failure, in setting the fees, to consider the public benefits flowing from the enforcement of rights which Parliament had conferred, either by direct enactment, or indirectly via the European Communities Act 1972. Fundamentally, it was because of that failure that the system of fees introduced in 2013 was, from the outset, destined to infringe constitutional rights. This is the revenge of the judges for years of government chipping away at the rule of law and it will be interesting to see what further implications there are. One area which ought to be affected is civil legal aid. The rule of law cannot function without it and what is left now is a travesty. It is only a matter of time before the government gets hit with this one.